I recently signed my eight-year-old daughter up for her own email address from Kids Email. She now has access to a year-long subscription to Kids Email Safe Email for Kids. 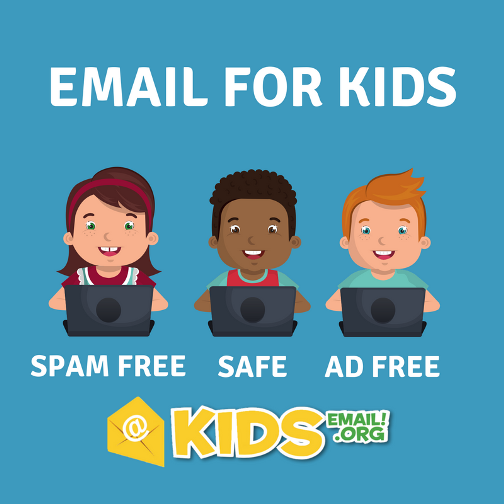 What Is Kids Email Safe Email for Kids? Kids Email provides specialized features making this the perfect option for a child’s first email address. Here are some of the features available. I didn’t use them all, but I appreciate that they are available. There are many different safety settings to pick from in the Parental Controls section. I decided to have all of my daughter’s incoming messages come to my email address. The first time she received an email from a certain email address, I had options. I could decide to add the sender to her contact list (so she’d get future emails from them), to approve this email without adding the sender to her contact list, or to delete the email. This is a great way to protect kids from possible scams, predators, or other online dangers as you introduce them to internet safety rules. You can also opt to see copies of all outgoing messages. This is a good way to keep tabs on whether or not your child is following the safety guidelines you’ve set. There are options to block images, links, and downloads. Other safety options you can use include only allowing the child to email people in the contact list, or filtering out bad words from emails. One thing I appreciated is that there are different general settings for children and teens. Teens and kids are typically at different levels of awareness of internet dangers, and what’s not appropriate for an eight-year-old might be fine for a sixteen year old. Teens have an email address ending in kmail.org instead of the kids version kidsemail.org. Within the child account settings, you can decide if you want to simplify the options even more, or go with the standard settings. You can upload a picture of your child for their account, select their username (that’s displayed publicly), and change their password. If there becomes a need to ground your child from the email for a certain length of time, Kids Email makes it simple. Just select the duration of the grounding, or which date your child can can get back in. You can also select what message your child sees if they attempt to log in during this time. You can decide when your child is allowed to access their email. If you want to block them after a certain time of night, or only allow access for a specific hour each day, you can. You can block entire days if you want to. I love the flexibility of this feature! You really can grant as much (or as little) access as you desire. Want to block a certain sender from your child’s inbox? Just add the email address here and your child won’t receive mail from this person again. Perfect for spam! You can access all account activity from here. You can see which child logged in, and when, and also see when the parent account was accessed. I thought my daughter would be more thrilled with this email address than she was. But, as my teen pointed out, email isn’t really as big of a deal for kids as it used to be. So, I had my daughter type out an email to see how it worked. She thought it was fun to write it, but she really prefers writing on pretty cards and getting real mail in return. The child inbox is easy to use and navigate. It’s very user friendly. I really liked trying out Kids Email. I didn’t know email programs like this existed. If any of my other kids become interested in having an email address in the future, Kids Email will definitely be where we turn. I like all of the settings and how much (or little) control it gives the parents. It also allows you to step back that control as your child ages, and give them more freedom and responsibility when they are ready for it. 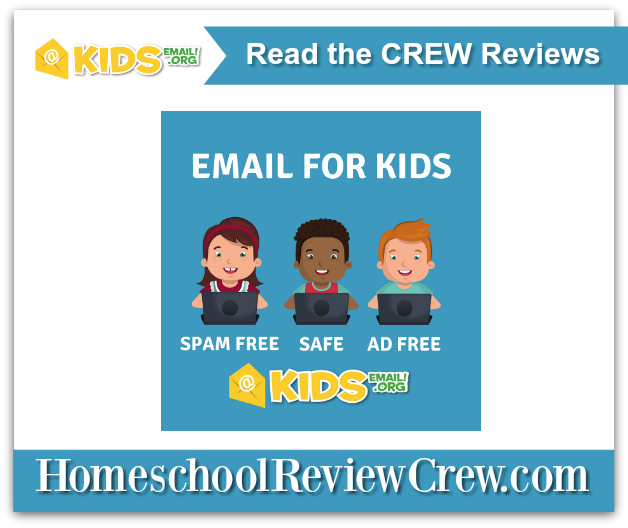 To see what other homeschooling families thought of Kids Email Safe Email for Kids, please click on the banner below.